Something to consider when buying an old house. 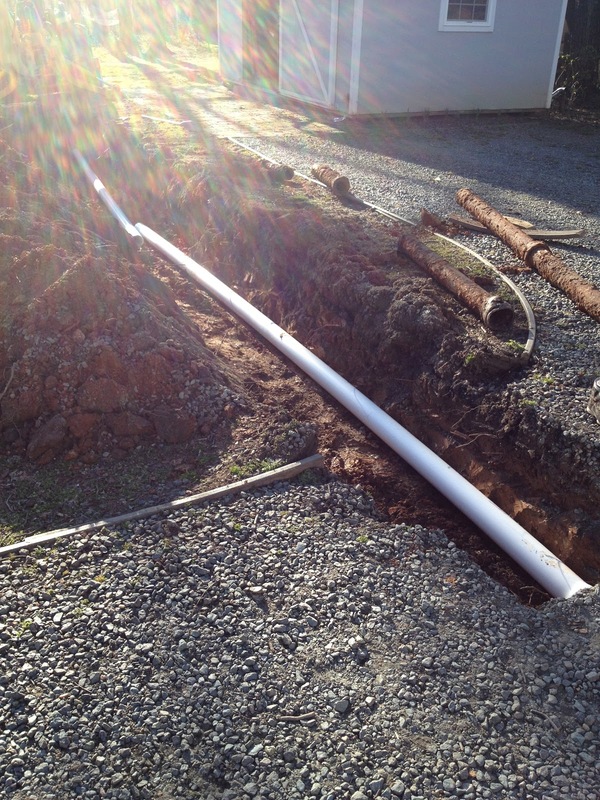 Even though the house has new plumbing we can't be sure what all is going on under the ground. Time for some investigating. I'm so glad my husband is an experienced plumber and has all the right equipment for the job! So far, he has replaced a lot of old, rusty pipe and is still digging up the yard searching for the septic tank. 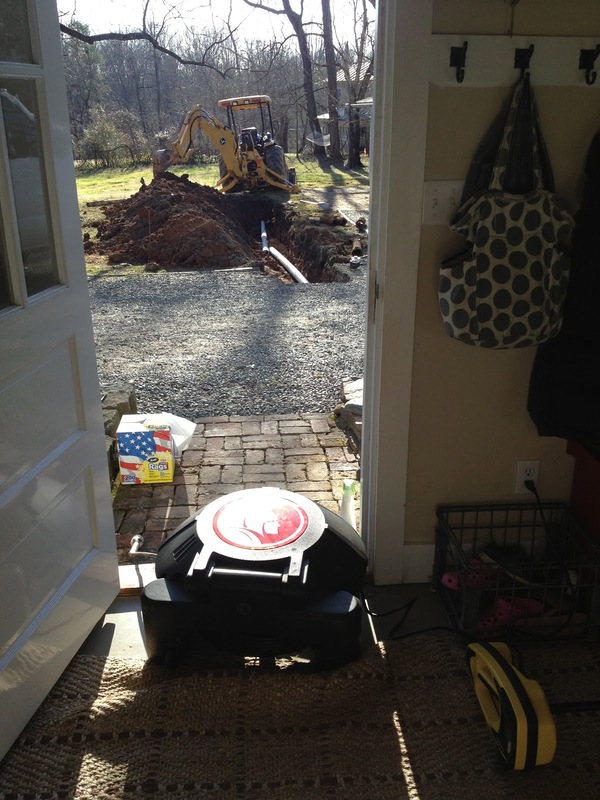 (Is there a septic tank?) Fun times! The good thing is that the grass around this part of the yard has never grown well. While digging we found so much gravel - almost like a road bed under the dirt. We've removed a few inches and will replace it with good topsoil. I'm hoping to have much better results with the grass after this! Oh my goodness! I am so glad that Seth can handle these things. That looks like kind of a major repair. Good luck! I tease my steve that I have to get him a babysitter when I leave him home alone because I have come home to a four foot deep ditch in the back yard, or something torn up and a mess! But he always fixes the problem or makes the house warmer or something like that! Love old houses! !